A fantastic team performance from our ever improving young squad in the second round of this years National Arena Junior League saw Anaconda finish in 3rd place and guaranteed a spot in this years Division 1 (M11) Final. 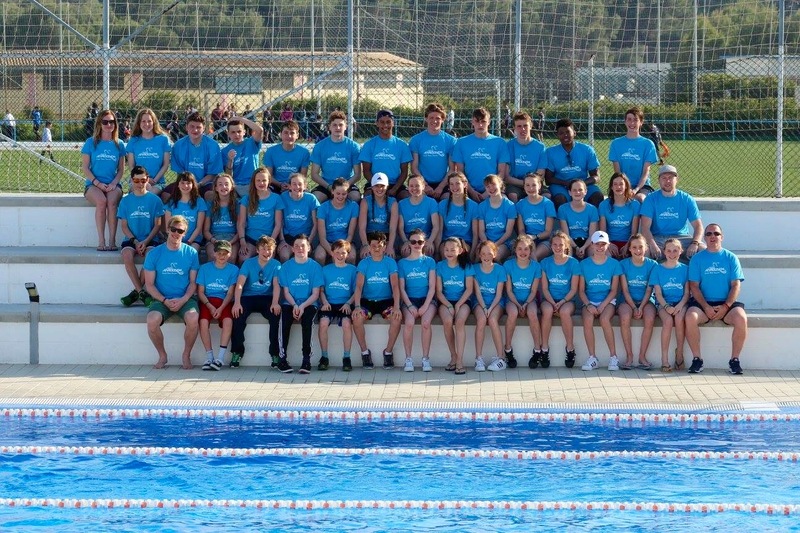 The Anaconda team secured 14 individual podium places and 9 relay podium finishes which helped the club accumulate a total of 243 points with some outstanding swims throughout the 49 event programme under the guidance of Coaches Wayne, Joe, Michelle and Fred Goudie. Michelle and Joe had the added pressure of making sure Rocco made the start of the gala after competing in the London Regional Age Group Champs at Crystal Palace that morning. No speed limits were broken as Rocco made it to Enfield with minutes to spare! Winning their races and securing the maximum 8 points were Vita Braden in the Girls 9yr 25m free (16.49); Rocco Giustiniani in both the 11yr &12yr 50m fly (34.17 &33.38);Asa Williams in both the Boys 9yr 25m back and 25m fly (18.18 & 17.13);Lily Waite Girls 11yr 50m fly (33.19); Alec Selwyn Boys 11yr 50m breaststroke (40.69); Evie Stansfield Girls 12yr 50m backstroke. The relay squads showcased how our strength in depth is continuing to grow within the club with first place finishes for the 11/u Boys squad in both the 4x25m free relay (1:01.81) and 4x25m medley relay (1:10.69) and the 12/u Girls squad in the 4×50 Medley relay (2:18.93): Runner up places were secured by the 9yr Boys squad in both the 4x25m free (1:09.56) and 4x25m medley relays (1:22.68): The Girls 11/u 4x25m medley (1:12.06) and the 12/u Boys 4x50m free relay (2:12.75): Third place finishes were achieved by the 12yr Girls 4x50m free relay (2:08.19) and the Mixed 8×1 free relay (2:08.50). Well done to every swimmer who took part and helped Anaconda secure a place in the final!